The “favorites” list in my GPS is sprinkled with all sorts of places and things that I might stop at as I’m passing through an area. I often pull up the screen and just let it stay in view. When something in the list is a short distance away, I’ll navigate to it. 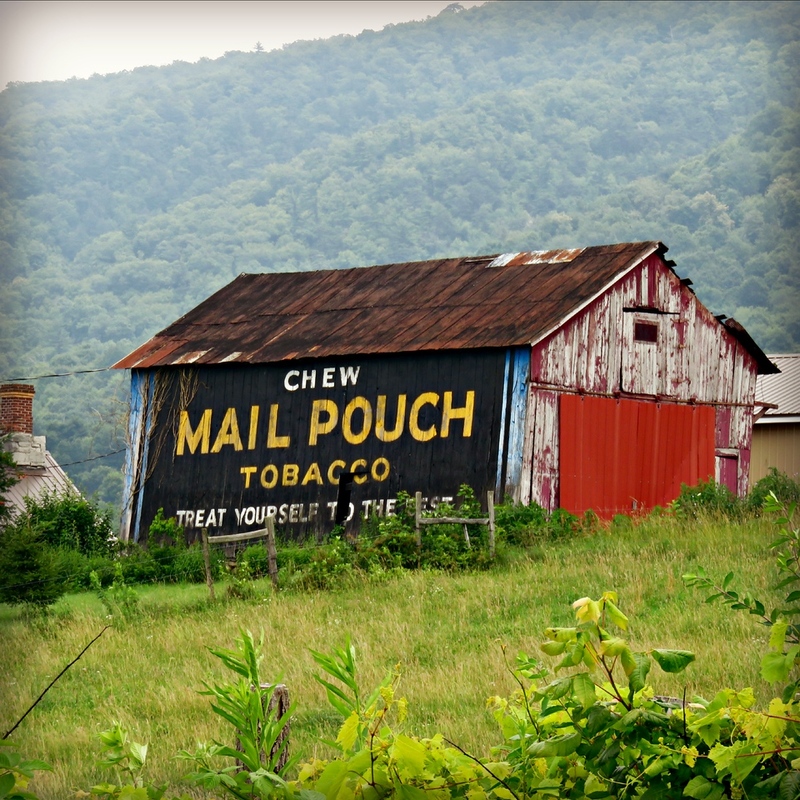 One of the reoccurring themes in the waypoint list is Mail Pouch Tobacco signs and barns. 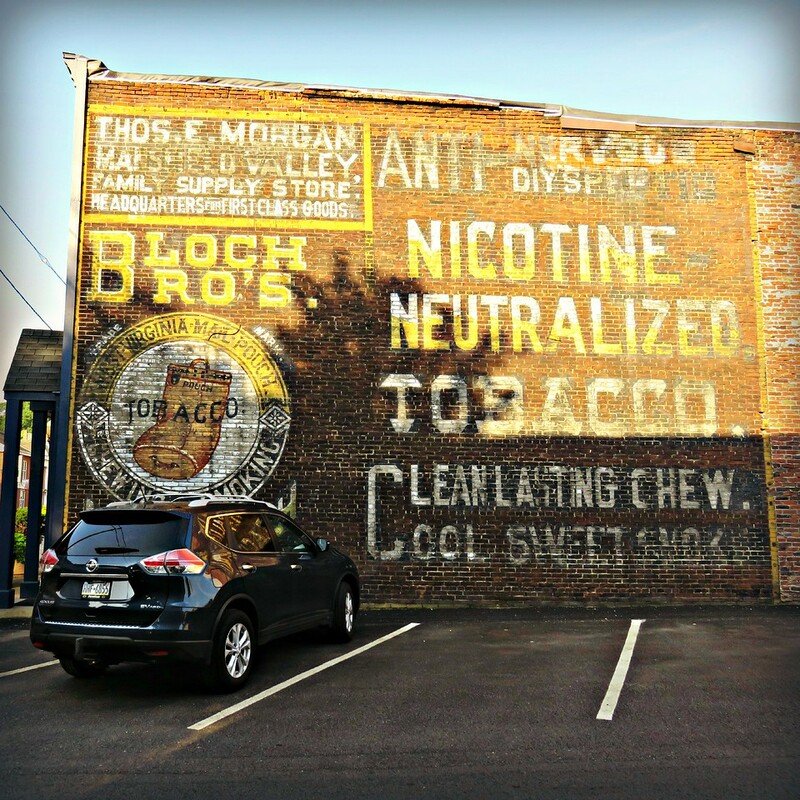 This wall ad was one of the points I’d saved in my GPS. Because I didn’t actually save a description of what the stop was, the title was something vague like : MP-12-1X, I knew it was Mail Pouch related, but didn’t know what I would find when I reached the point. I’m glad I took the chance to see it, what a beauty. I don’t think I’ve seen one of their ads with the “Anit-Nervous Diyspeptic” [sic] line before. 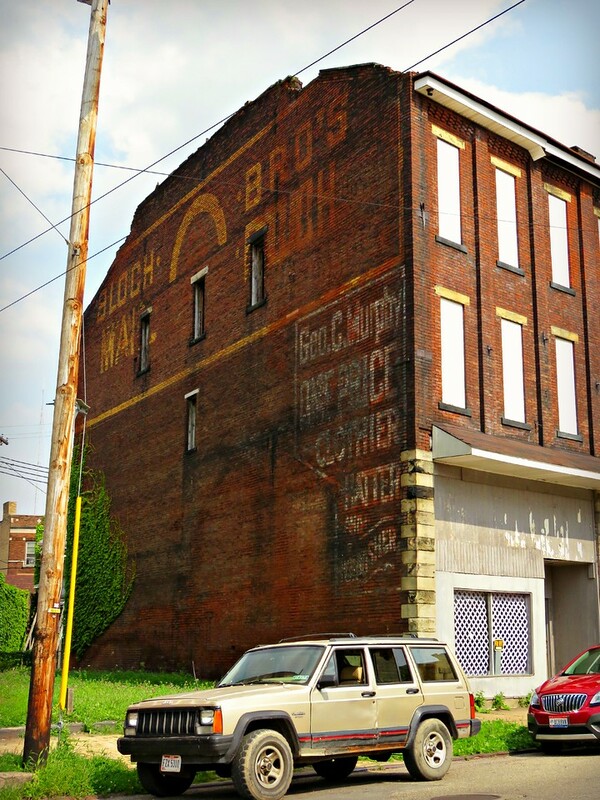 While making my way across the Ohio River through the town of East Liverpool, the lady in the box directed me to swing down a not-so nice alley that spit me out on to Dresden Avenue. The street had that look of a town that was long past its prime. 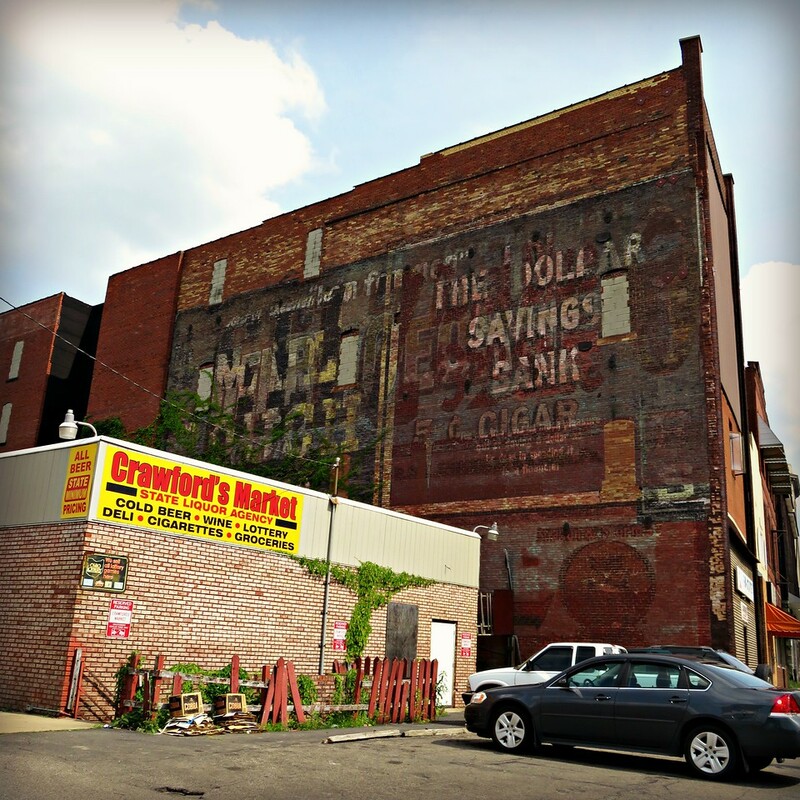 Towns near railroad lines, rivers or other transportation centers and have brick building-lined streets are often good places to spot fading wall ads. There seems to be some key to the town having been well-used around the turn of the 20th century. 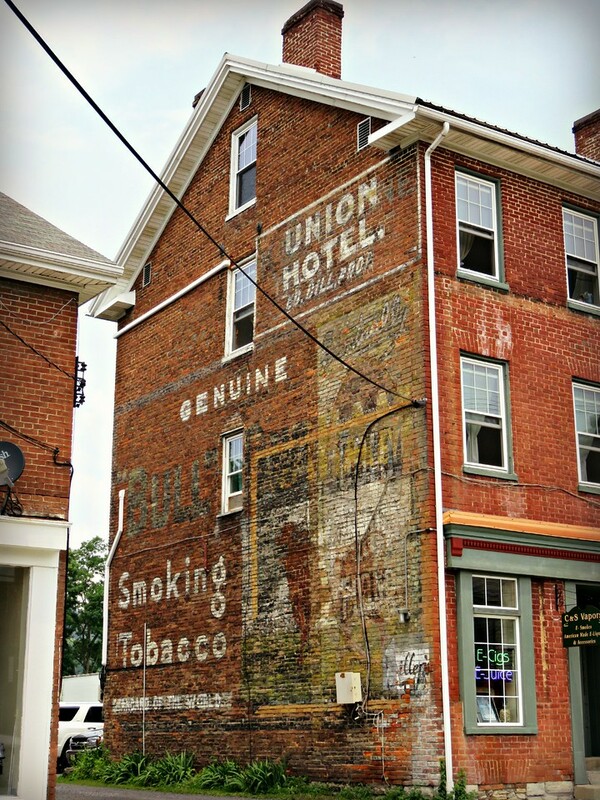 When you pull in to one, you just “know” that there will be an old, faded advertisement on some building, somewhere. And just a few hundred yards, past that Mail Pouch fade, was this Bloch Brothers Mail Pouch ad. A nice bonus. When you set out to find something specific, sure it is it’s own reward but stumbling across something unexpected is a bright spot in your day. 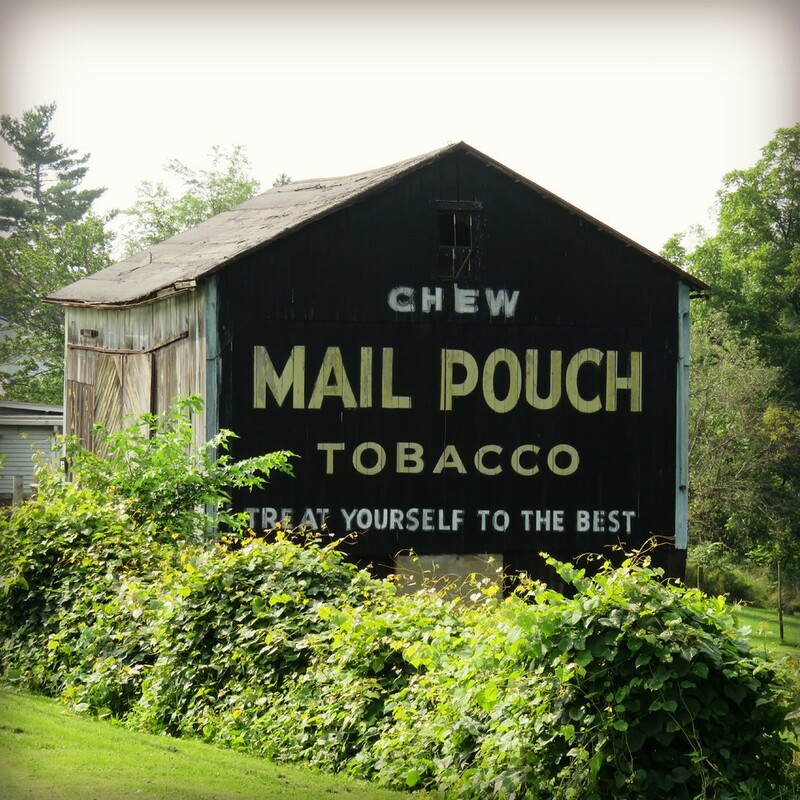 That was the case with this Mail Pouch barn. Unfortunately, I don’t recall which town this barn was in but I know I found it after visiting the Madonna of the Trail in Beallsville, Pa. I *think* it was also along US 40. Just southwest of Bedford, Pa – home of the Big Coffee Pot that I love so much, I had this barn’s coordinated tucked in to my favorites list. Wouldn’t you know it? I found an open parking space in the town of Bedford directly across from this Bull Durham fade on the building at 116 W Pitt St. It’s just east of Dunkle’s Gulf. What a great collection of Mail Pouch advertisements! Thanks for sharing!! It’s worth a stop when your in that area again. I often ride past an interesting place / location / billboard / advertisement, because it’s not convenient to stop at that time. I end up ‘making a mental note’ to stop next time I’m in the area. And the next time doesn’t really happen!